All photos donated by Greg May and Steve Itrich on May 28, 2006 . Thanks a bunch guys! 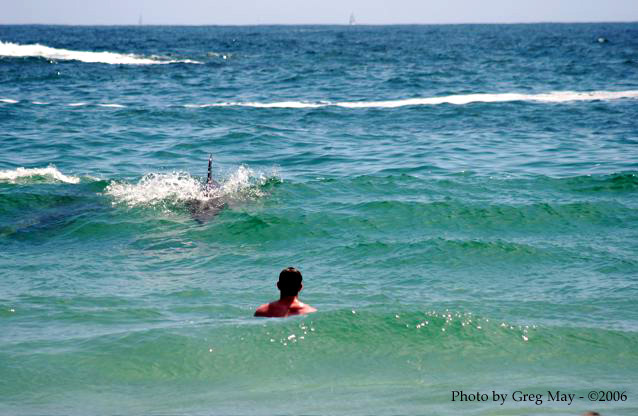 The amazing moment of first contact caused great excitement and curiosity amongst the beachgoers. 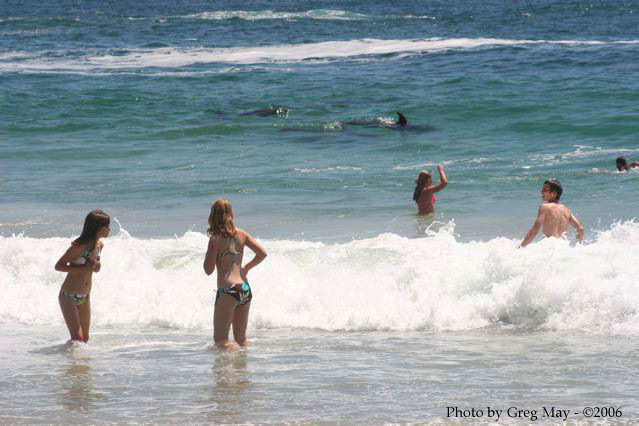 Many people couldn't contain their excitement, and ran into the surf to greet them. 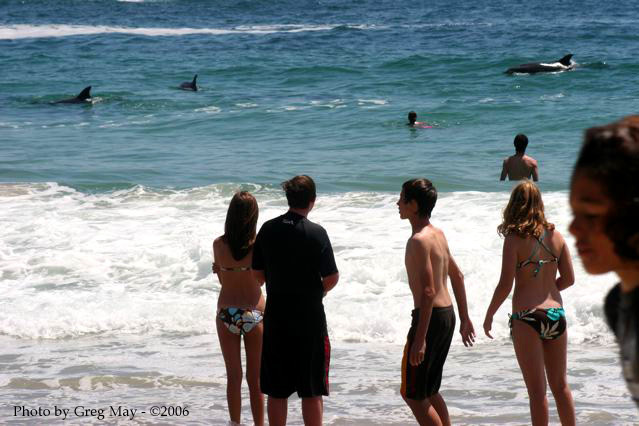 The Dolphins responded by coming even closer. 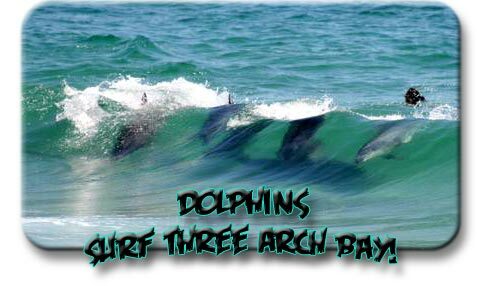 One of my favorite neighbors, Alexandra, said that when she went underwater, she could hear them squealing, whistling and squaking with joy! 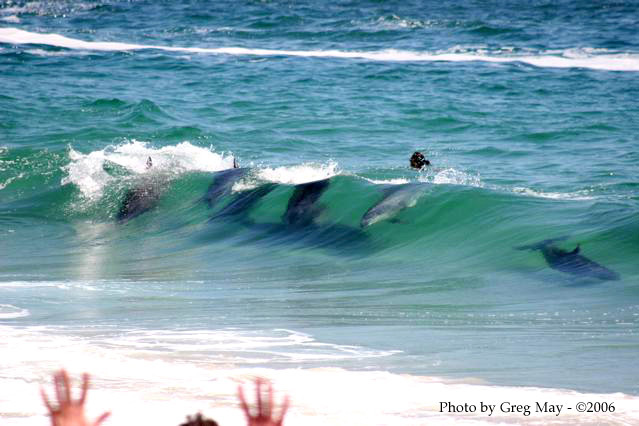 They began to join with the surfers, showing off their considerable wave skills. 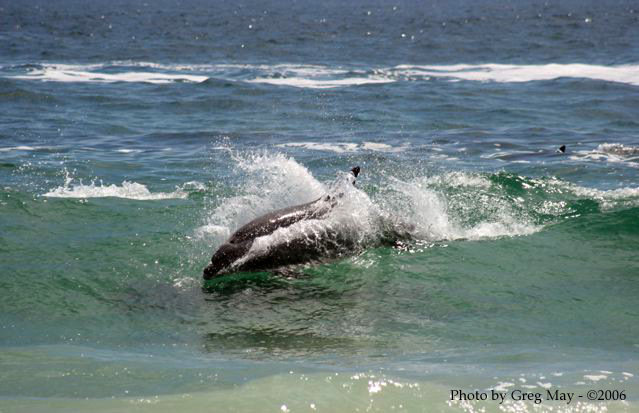 The pod of Dolphins thrilled the crowd with a fascinating display of aquatic ability, surfing the clear waves.